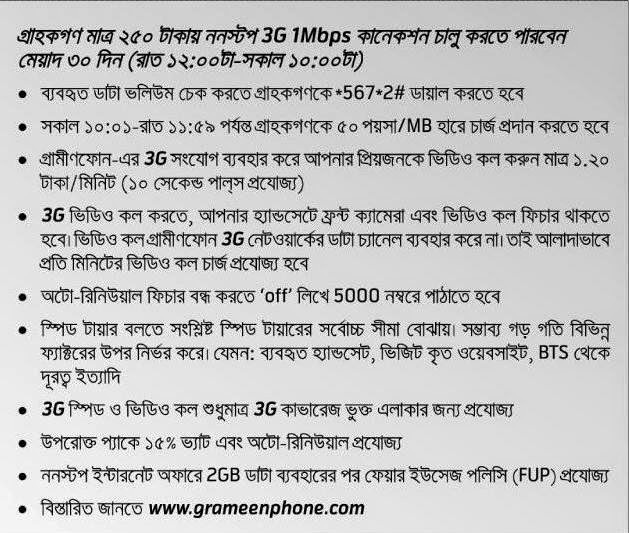 Grameenphone brings nonstop 3G Internet (@ 1Mbps) at BDT 250 with a validity of 30 days, for its coolest Bondhu users. Don’t be late to share your happiness with this faster and time convenient package! So, what are you waiting for? Grab this new, attractive package and make your 3G internet experience exiting than ever!